Long before the 3-M company invented Post-it Notes, God was already prompting his people to jot down reminders of important events. The Hebrew word zakhor, which means remember, appears 169 times in the Hebrew Bible. The call to remember, along with the admonition not to forget, appears so frequently in the book of Deuteronomy that some scholars say the text puts forth a theology of memory for people of faith. God calls his people to remember in order to celebrate who he is and what he has done. As we celebrate and recall together, we live into and out of our collective memory as the people of God. Each year as we approach Advent, annual habits of observance work to ingrain the event into our memory. Repetition also serves to keep us connected to the roots of our faith. In the present, we reenact to remember the past, and those in the future will likely do the same. Advent holds its own place in the church calendar. It is primarily there for a simple reason: people are forgetful. What exactly does the season of Advent invite us to remember? Yet cozy scenes by the tree are not exactly what Advent invites us to remember. Advent anticipates the coming of Christ from three different perspectives. In Journey into the Heart of God: Living the Liturgical Year, Philip Pfatteicher writes, “Since the time of Bernard of Clairvaux (d.1153) Christians have spoken of the three comings of Christ: in the flesh in Bethlehem, in our hearts daily, and in glory at the end of time.” During Advent, we are invited to share in the longing of the church—past, present, and future—for the coming of the Messiah. “When I was a child, I spoke like a child, I thought like a child, I reasoned like a child; when I became an adult, I put an end to childish ways” (1 Corinthians 13:11, NIV). These words from the apostle Paul interrupt my Advent reverie. For too many Christmas seasons I have chosen to cling to the soothing hum of the humidifier. Yet nothing about the biblical account of the Christmas story should lull me nearly to sleep. Rather, the unexpected, shocking, scandalous, and disquieting reality experienced by Joseph and Mary in the biblical narrative unnerves me. The activity of the Holy Spirit pulses throughout the story. Wherever there is a divine encounter, a choice must be made. It is not enough for the characters to be aware, to acknowledge, or even to agree. The crucial choice is whether or not they will participate in the activity of God. Angels deliver messages and a cast of unlikely characters choose obedience. Jesus enters our world to save humans from their sin and brokenness and to free us from sure death. Yet baby Jesus himself needs to be saved from the sure death that awaits him. My heart soars at the immediate obedience of Joseph, who travels with Mary and Jesus under cover of night, telling no one of their departure or whereabouts. Perhaps they use the gifts of the magi to cover travel and relocation expenses. But then my eyes fill and my stomach churns when I think of the innocent baby boys who lost their lives at the order of a wicked ruler. The brutality is real. It is difficult for me to live in this space. The brutality is real and it is difficult for me to live in this space. Yet neither do I want to believe simplified, sanitized versions of the Christmas story that keep me from recognizing the human-divine interventions and interactions that surround the birth of our Savior in Bethlehem. If I fail to recognize how God was working in his first coming, will I be more likely to miss his presence and invitations in the midst of my daily story? Will I be unprepared for his second coming, lulled nearly to sleep, mesmerized into believing that all is calm and all is bright? All is not calm or bright for the children in my community. My teacher friends tell me that very few children enjoy the stability of a home with their original two parents. Many children are economically disadvantaged and their home environment is substandard. There are insufficient resources to purchase basic necessities like food, shelter, clothing, and other essentials. Children are shuffled between two parents in two living spaces. Grandparents are raising grandchildren and single teens are learning quickly that babies are a never-ending responsibility. I have witnessed all of these scenarios with children I know in my community and church. There is no soothing hum of security for them. Their lives have been invaded by the kind of drama whose broken pieces seem impossible to put together into the true picture God intends. Once again, there is a critical need for human-divine intervention. We in the church need to hear this call from the heart of God. Innocent children are easy victims when we focus on the way things used to be while refusing to see the way things are: an eight-month-old infant is stabbed by a parent on drugs, young siblings abandoned by their parent to grandparents who lack sufficient resources to heat the apartment during the freezing cold winters, sixth graders who walk by my church on their way home from school and stop by to ask if I have any snacks. The brutality is real and it is difficult for me to live in this space. Within the current reality, I hear the call of God to let the overflow of God’s grace in my life spill onto those who are desperate for its shower. I have visited with the school principal to ask how might we, God’s church, help. There was no shortage of ideas or ways to partner. I hear Advent calling. The season of Advent invites us to remember. We remember God’s activity and his invitation to participate with him as he saves people from sin and brokenness. During Advent we wait. But we don’t do so passively. Like the participants in the original story, we wait in the ready posture, willing to obey God and join him where he is working. Jesus is the Light that has dawned and entered into our chaos. His example calls us to enter into the darkness of those who have lost sight of the picture God intended. Let us hold steady the Light and enter into the lives of others so Christ can be seen. Our obedient participation has the potential to transform lives. Can we remember? 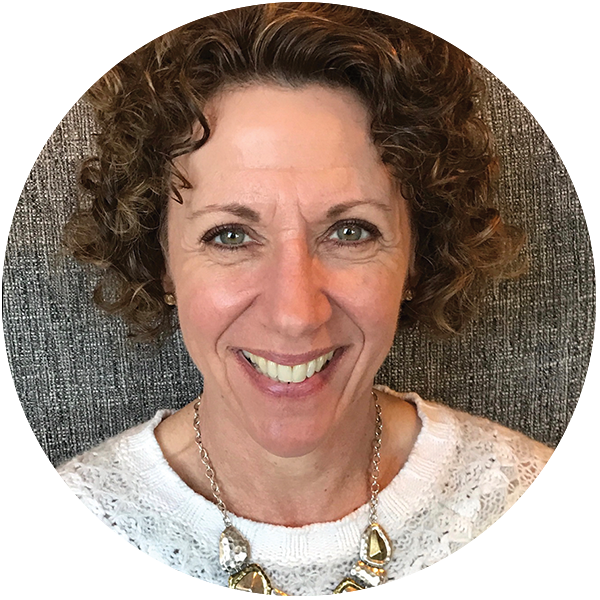 Paula Frost is an ordained Covenant pastor serving at Faith Covenant Church in Manistee, Michigan, where she is privileged to serve alongside her pastor-husband, Herb. She is a spiritual director, a children and family ministry coach for the ECC, and currently serves on the ECC Executive Board. Her greatest joy is being with her adult children and their expanding families. Paula is energized by speaking, writing, exercise, cooking, travel, and sunshine. We are blessed to have a great woman such as Paula Frost as our Pastor. Wake up people and see how we should be help her. I and the Life springs ladies are helping a refugee family from the Congo that just moved here. They are sweet Christian people. They only speak French so it’s been challenging. They just texted me and asked if we could pick them up for church tomorrow. It’s been so amazing to see the hand of God working in this.